In a large bowl, combine oats, walnuts, pumpkin seeds, maple syrup, oil and vanilla; stir well. Spread mixture onto a parchment paper lined baking sheet. Bake for 25 minutes, stirring halfway through, until golden brown. Let cool completely. 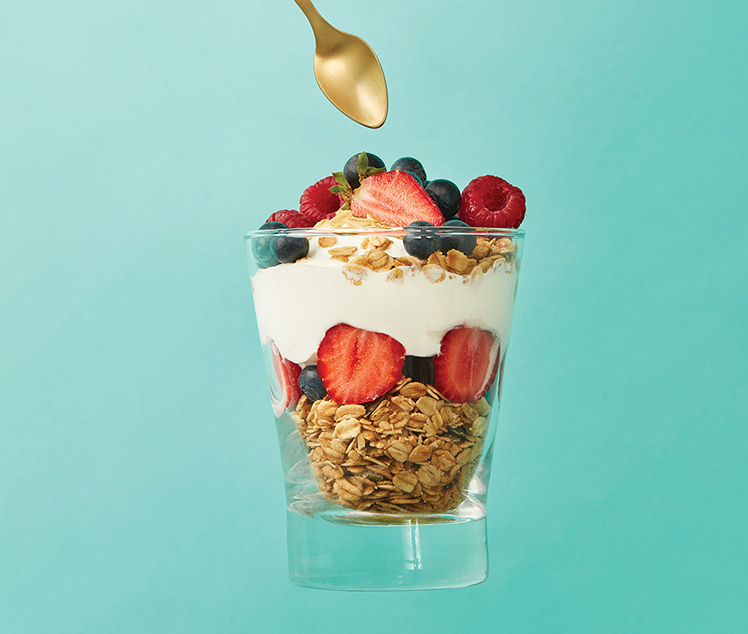 Spoon 1/2 cup (125 mL) of granola into 4 parfait or fruit cups; top with yogurt and fruit. Sprinkle with remaining granola to serve.